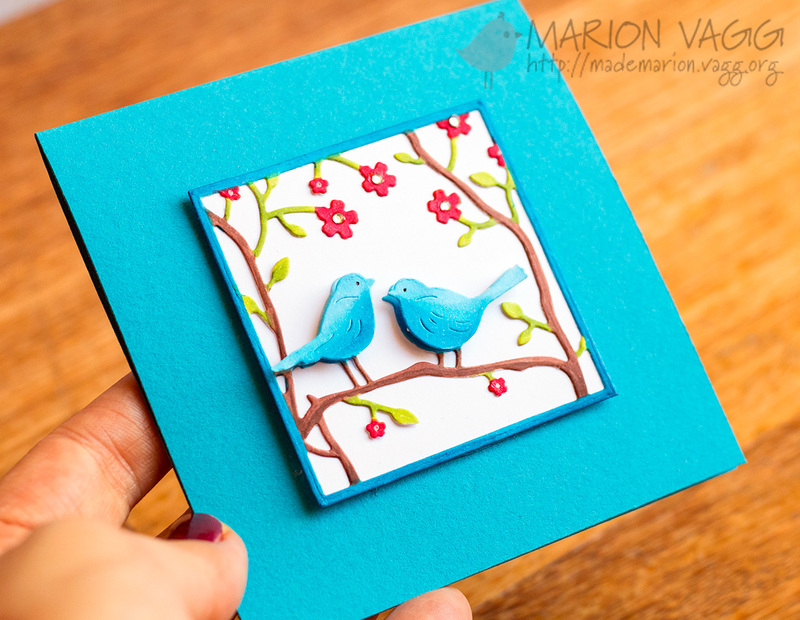 Hello – just a quick post to share a serene little scene using a Penny Black die called Layered Scene. This die set actually comes with two dies that can be layered, but I chose to use just one of the layers. I die cut the scene from white card stock and then used my Copic markers to selectively colour in the different areas. I did add some dimension on the birds by using some 3D mounting foam. It is very rare that I make a card with no sentiment, but I felt this one didn’t need one. Our moving day is this Friday….and I can’t wait for it all to be over! 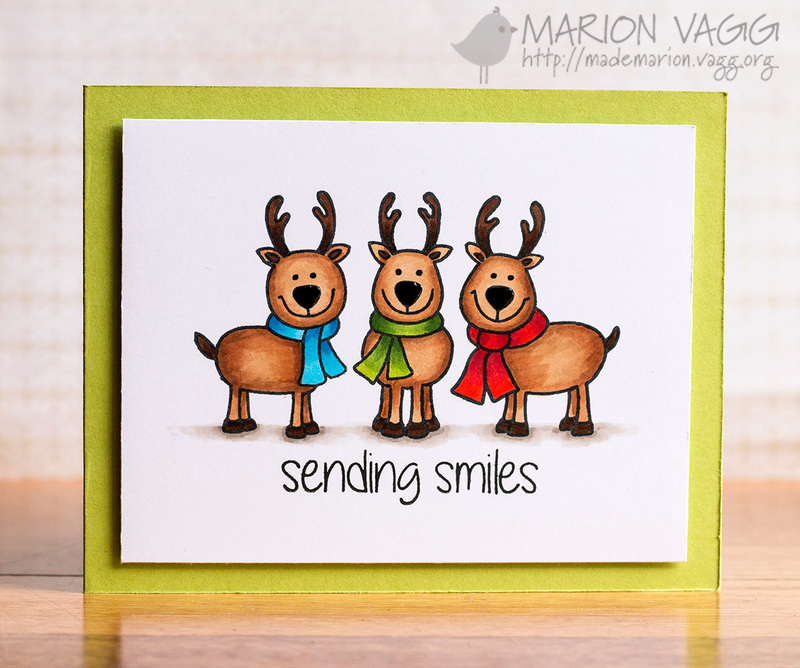 Today I have a fun card up on the Jane’s Doodle blog, using her newest stamp set called Winter Fun – which happens to be on sale right now! And it certainly was a lot of fun to colour in these cute reindeer. I stamped and then coloured these three with Copic Markers. To add some finishing touches I put some clear Wink of Stella glitter brush pen onto their scarves and coated their noses with Glossy Accents. The sentiment is from the Monster Squad stamp set. Well it’s less than 2 weeks now until we move. I’ve boxed up my craft room, so it will be a few weeks before I can craft again. Thankfully I managed to get all my January projects done well in advance. I’m itching to make something, but more packing and cleaning have to come first! Hello! 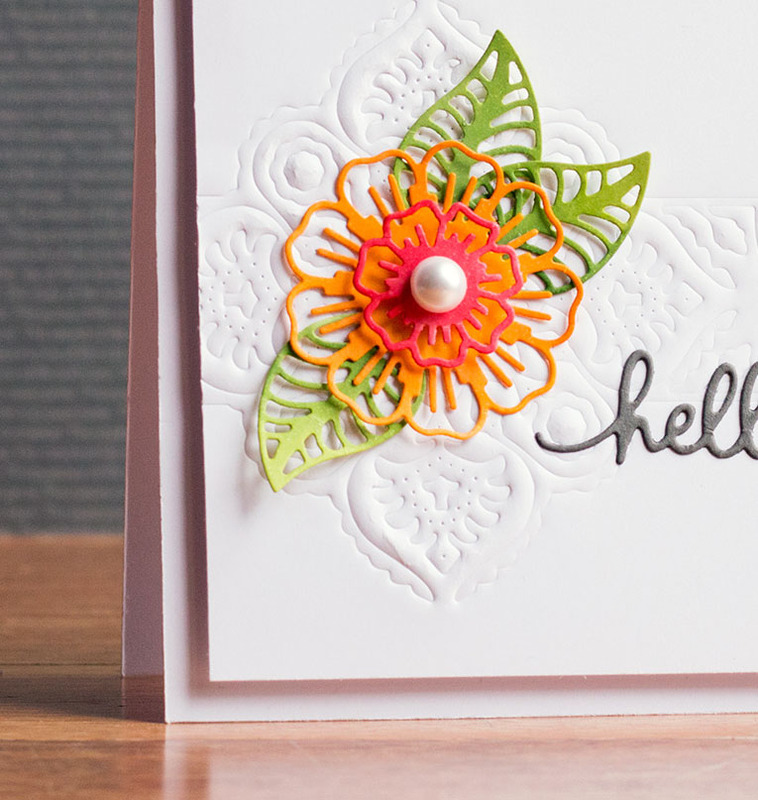 It’s my turn over on the Penny Black Simplicity at its Best blog today. 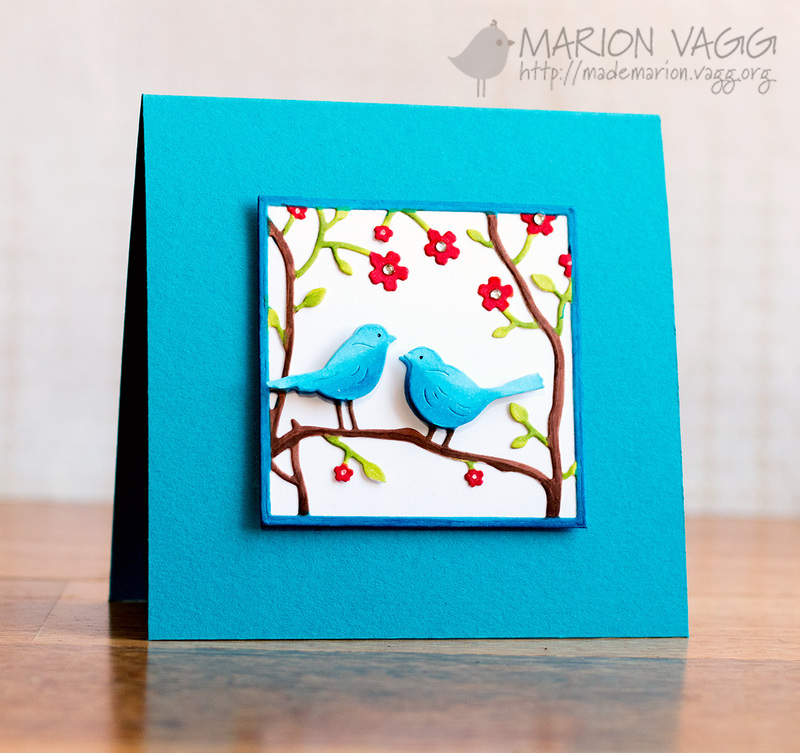 I had a lot of fun making two cards solely made with dies – both die cutting and embossing with a die. To check out my cards, go here. Happy New Year! 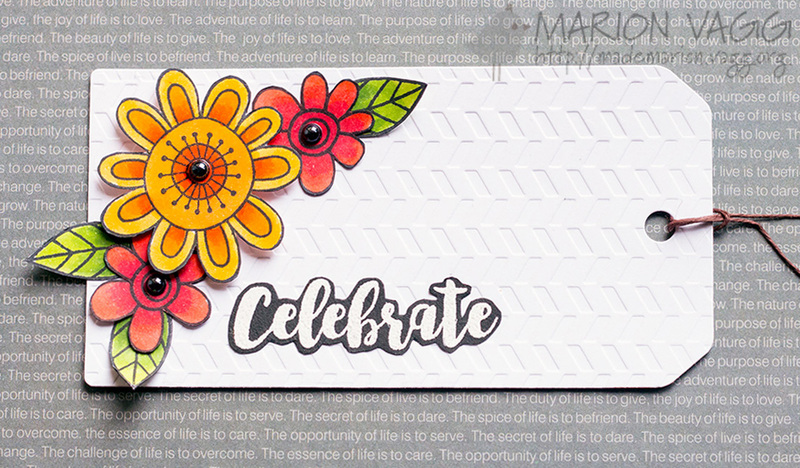 I’ve made a Jane’s Doodle tag to bring in the new year using the Doodle Flowers and Birthday Wishes stamp set. You can find the post on the Jane’s Doodles blog here. 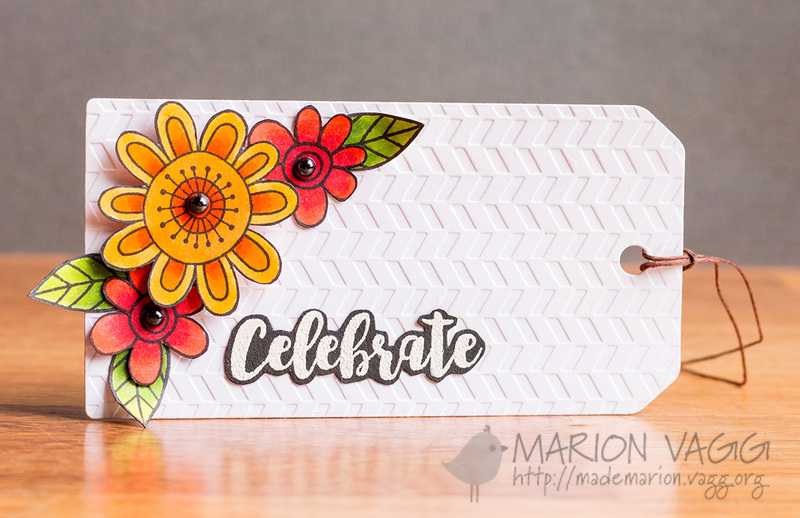 I used a chevron embossing folder on the tag to add some texture, then stamped and fussy cut the flowers and leaves which were coloured with Copics. The sentiment was white heat embossed onto some black card stock and then I fussy cut it out. I hope your new year has got off to a wonderful start. My family and I are about to move house – so I am knee deep in sorting and packing boxes! Not my favourite job in the world!